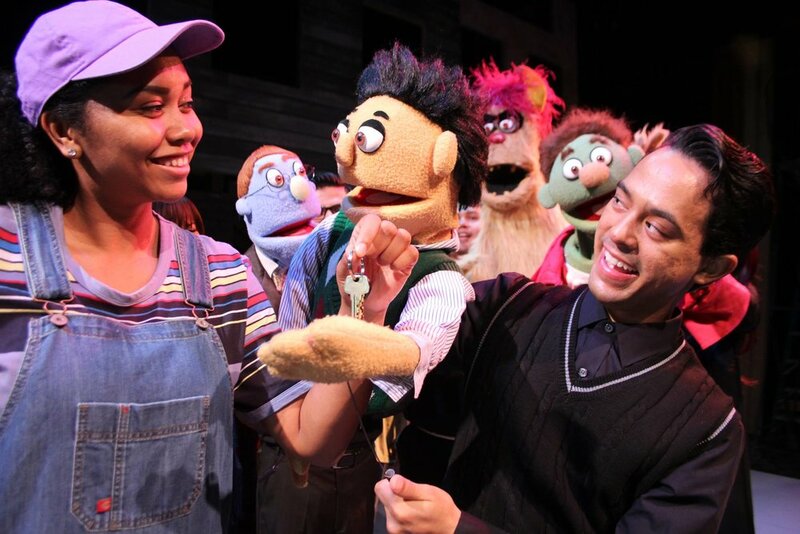 Manoa Valley Theatre continues its momentous 50th anniversary play season with the return of Avenue Q, a musical comedy by Robert Lopez, Jeff Marx and Jeff Whitty and winner of the TONY® “Triple Crown” for Best Musical, Best Score and Best Book. Part flesh, part felt and packed with heart, this laugh-out-loud musical tells the timeless story of a recent college grad who, along with new human and puppet neighborhood friends on New York’s Avenue Q, struggles to find jobs, dates and their ever-elusive purpose in life. Addressing humorous adult issues and filled with gut-busting humor and a delightfully catchy score, not to mention puppets, the show is similar to a beloved children’s television show and offers a place where puppets are friends, Monsters are good and life lessons are learned. The production will run January 10 – 27. Show times are Wed. 7:30 p.m., Thur. 7:30 p.m., Fri. 8 p.m., Sat. 8 p.m., and Sun. 4 p.m. Tickets are $40. Seniors and military are admitted for $35, youth 25 years old and younger are $22. Minimum age is 13. Call 988-6131 or purchase tickets online at manoavalleytheatre.com. The doors will open for seating 30 minutes prior to each performance. Beverages will be available for purchase on site. No outside food or drinks are allowed. The play is performed in two acts with one intermission.